Barbara Wheeler was born in London in 1764, the fourth child and first daughter of William Wheeler who, although brought up as a gentleman, did not possess ‘a fortune fully adequate to his taste and refinement’ and found himself pushed by the needs of a growing family to take up business and become a wine merchant. Her parents conformed strictly to the established Church but also to the demands of genteel society. 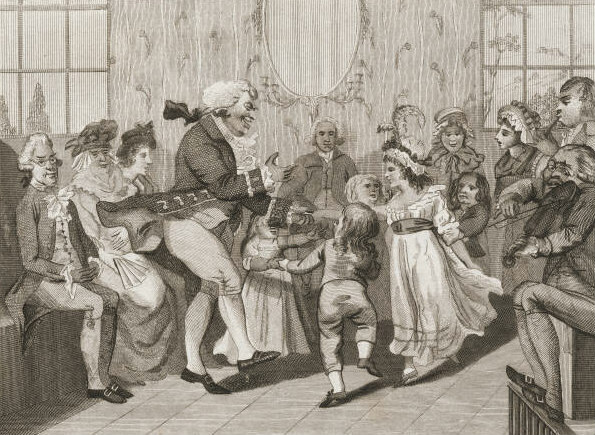 As Barbara apologetically notes in her memoir, 'it was thought proper for us to learn music and dancing, and games at cards, and we were introduced to plays also, and trained for the ballroom and card tables.' She worshipped her father, tried to excel in everything for his sake, and would do anything to win his approval. To please him she attended a dancing school but later felt that the unthinking and trivial company she encountered there was a very bad influence on her, especially when she found herself lying to her father about where she had been and what she had been doing. 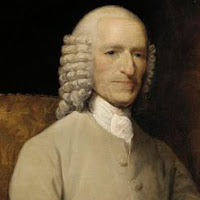 In 1778, when Barbara was fourteen, her father became ill and was looked after by the Quaker doctor John Fothergill who made a great impression on both him and his daughter. Barbara describes how the doctor's 'gentle, though firm demeanour calmed sorrow into silence. His penetrating eye and abstracted thought always inspired confidence in his judgement, though there might appear not the least prospect of success'. In the end the doctor could not save his patient and her father's death was a very great blow to Barbara. She tried to be a support to her mother, but carrying on the business proved to be a worry, as William, the eldest son, who should have been in charge of it, was only interested in following his own pleasures – wine, women and gambling. After six years of struggling to carry on the business, Barbara's mother also died. The business was disposed of and the family dispersed, the three sons to foreign parts, one daughter to school and Barbara to live with her guardian, a clergyman cousin living in Yorkshire. It was here that she met her future husband while visiting relations in Handsworth Woodhouse, just outside Sheffield. Barbara's description of their meeting is reminiscent of a Jane Austen novel. William Hoyland soon returned the visit in a more formal manner and began to improve his acquaintance with Barbara, to the point where marriage was proposed. Barbara’s relatives had several objections to the match, of which their difference in religion was only one. William was also about fifteen years older than her, of a serious temperament and suffered from poor health which might mean that Barbara would be more of a nurse than a wife. Barbara wavered, but ‘affectionate attachment’ and the renewed attentions of a former suitor made up her mind and the couple were married by Barbara’s cousin in 1787. This marriage before a priest led inevitably to William’s disownment from the Society of Friends which meant that he could no longer attend meetings for business. 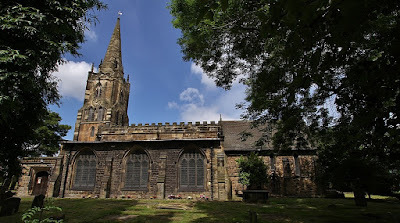 St Mary's parish church, Handsworth Woodhouse. After three years, during which ‘life seemed to flow in an easy channel’ William had to go to Sheffield for a week on business and suggested that Barbara accompany him. She had lost two children and was expecting a third so that her visiting would be confined to William’s relations, whose ‘plain’ Quaker lifestyle she found rather intimidating. However, rather than stay at home alone, she chose to go with him. When Sunday came she says, ‘I felt a little uncomfortable in the morning, not knowing how I should get to church, but upon considering the matter, as I had often had a curiosity to sit in a meeting of friends, I thought if any of the family should invite me to go with them, I would do so.’ This happened and she accepted but her husband appeared uneasy and, making no comment, immediately rode off back to the meeting in Woodhouse so that Barbara went to Sheffield meeting without him. Barbara and her husband did not speak at all of what had happened although she felt that she had his sympathy. About two years later, in 1792, she applied for membership of the Society, again without discussing it with William. However, she says 'he was told by some Friend that the application had been made, and the next time we met, he appeared very thoughtful, and I was ready to suspect the matter had been disclosed and that it was not agreeable to him. But on questioning him on the subject he very feelingly said, "No, my dear, I am glad that what I have lost thou art about I hope to gain."'. 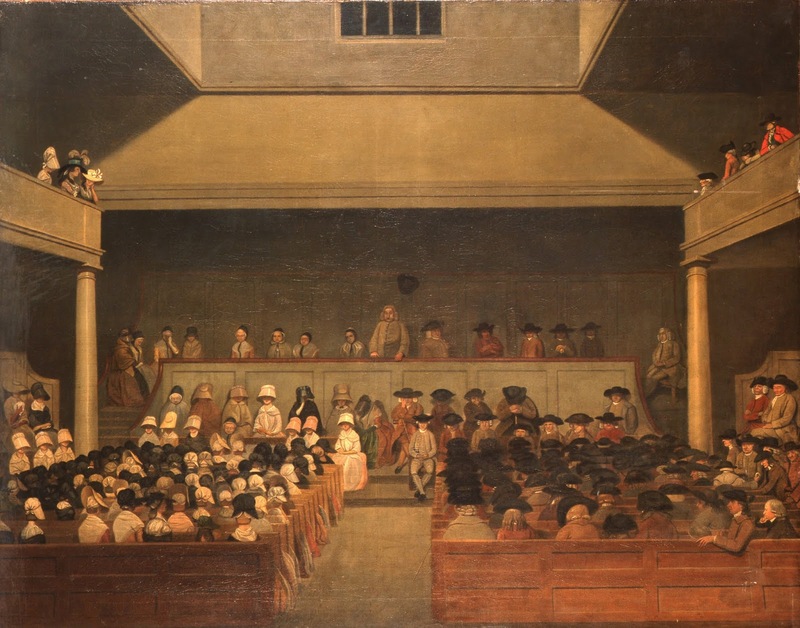 Gracechurch St Meeting House, London in 1770. Sheffield meeting house would have been similarly arranged. They went on their separate ways and on being accepted into membership Barbara took up her duties as a Quaker. She says, ‘The first Monthly Meeting I sat happened to be at Sheffield; and I was not a little surprised to find that my dear W.H. meant to attend the previous meeting for worship. I felt a good deal for him as it was the first he had attended at Sheffield since we had been married, and I looked earnestly about, when assembled, but could not perceive him. In about an hour after the commencement of the meeting, every interesting feeling was awakened by the sound of his voice, and seeing him stand up near the centre of the meeting and acknowledging "he had wandered from the principles in which he had been educated, and the justice of the dealings of Friends towards him", concluding with a request to be reinstated.’ William was eventually readmitted and in this way was able to repent of his failings without regretting his marriage. He was extremely scrupulous in never blaming Barbara for his misfortune or indeed ever discussing the principles of Quakerism with her, but stood back while she came to convincement in her own way at her own pace. Disownment was inevitable when they married but he was never cast off from family or from worship and the possibility of return. 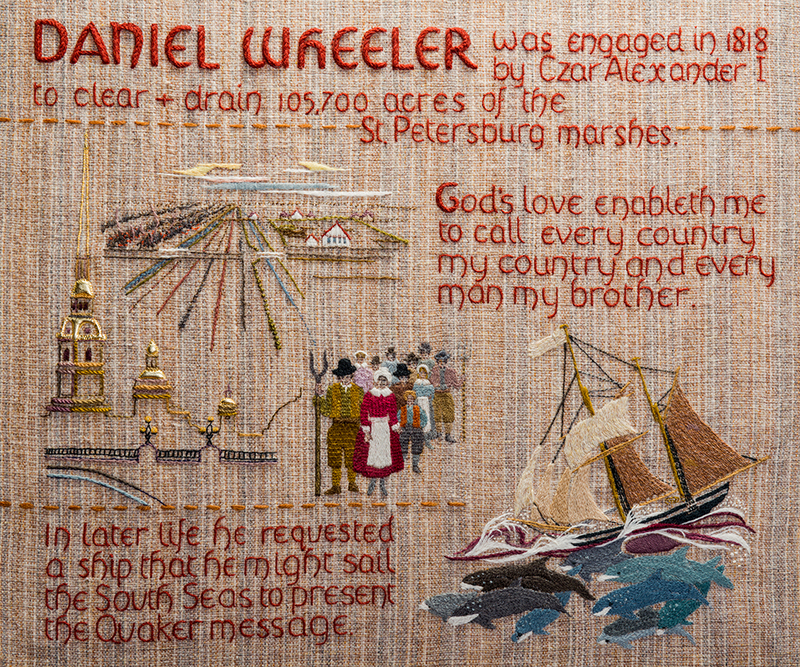 Barbara and William were now both part of the Quaker community and Barbara was recognised as a minister. Their family grew, although several of their twelve children died young. After being out of touch for some years Barbara also renewed contact with her sister and brothers including the youngest, Daniel, seven years her junior, who had been in both the navy and the army. In 1796 he wrote to Barbara asking for permission in visit her but made no formal arrangement. Daniel stayed with Barbara and William and eventually the unspoken influence of Quakerism worked on him too and he joined the Society as his sister had. 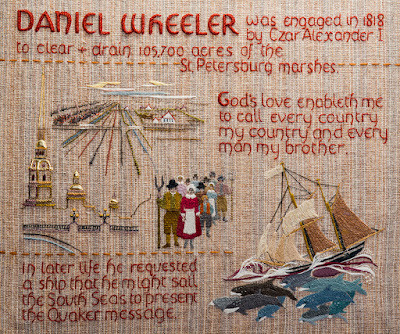 He took to farming, married and took his place as a Quaker minister, becoming well known, not only for his faith, but for his adventures in Russia and elsewhere. In 1797 Barbara and William moved into the centre of Sheffield where William set up an ironmongery business in partnership with his younger brother. Unfortunately his health did not improve and in 1805 he died at the age of 55. A few years later Barbara moved with her family to Bradford, another thriving Quaker community, and was active as a minister both locally and farther afield. She held numerous public meetings, for example, in Leeds in 1822, in Knaresborough and Thirsk Monthly Meetings in 1825 and in Halifax in 1827. She also travelled to Devon and Cornwall with a younger minister, Benjamin Seebohm, in 1824. Towards the end of her life Barbara wrote an account of her spiritual journey mainly for her family. The manuscript (together with a transcript) is in Friends House Library, London and I have quoted from it extensively in this post. Barbara died in Bradford in 1829 at the age of 65 and was buried in the Quaker burial ground there. 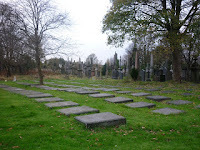 In 1855 the burial ground was closed by the town council and the bodies, including Barbara's, removed to the new Undercliffe cemetery overlooking the town.